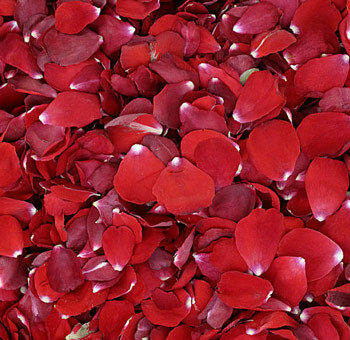 Petals are something that can add splendid garnish to a wedding or special event. They can add emotion and excitement. 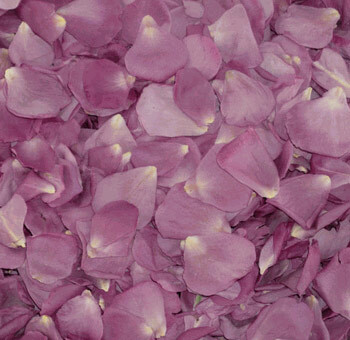 We have both rose and hydrangea petals that can be used in a variety of ways, including: petal tossing, scattering in wedding aisles, dance floors, table runners, cake and cake tables, and the honeymoon. 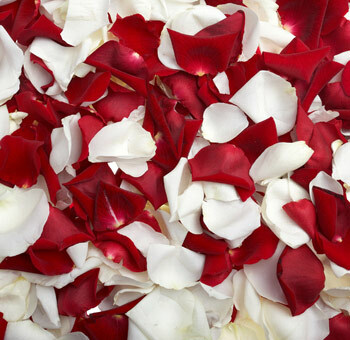 Flower petals have always traditionally been used as part of events, holidays, special occasions and even weddings. 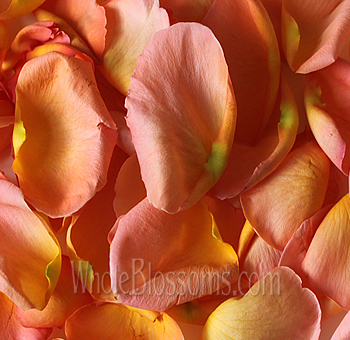 They make for an enchanting as well as inexpensive décor for almost all types of settings. 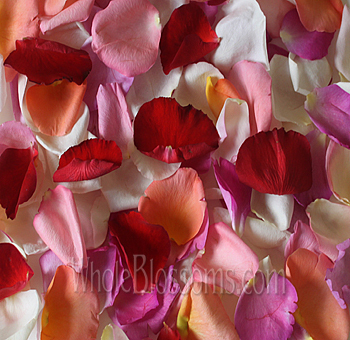 It's even possible to do it yourself with flower petals. 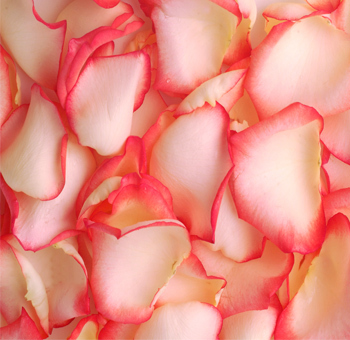 Roses are especially popular when it comes to flower petals, but there are other flowers too that are being extensively used nowadays. 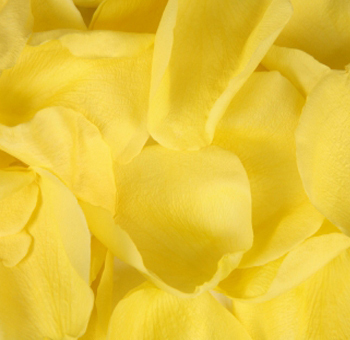 Flowers like peonies, agapanthus, and buttercups make lovely and delicate petals too. 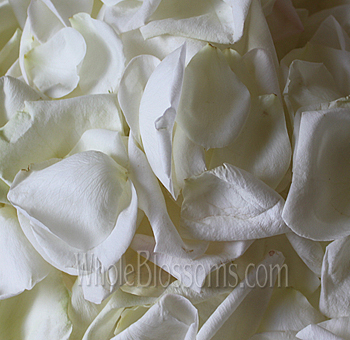 For an inexpensive option flower, petals are the best choice. They can make charming and elegant wedding décor without costing much. 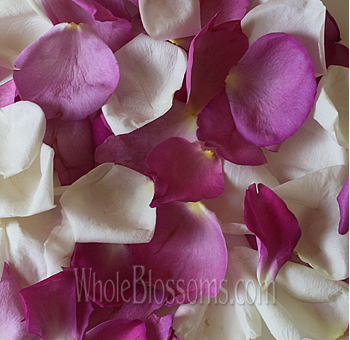 Readily available in bulk flower petals can save the day. 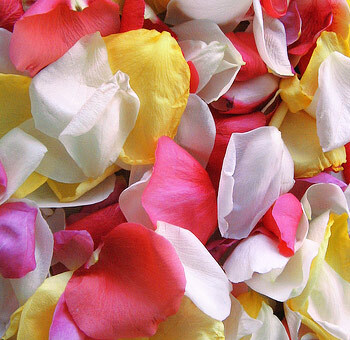 If you're a do it yourself, bride or even an event planner with a tight budget flower petal can be your best bet. There are many creative ways to use them too. 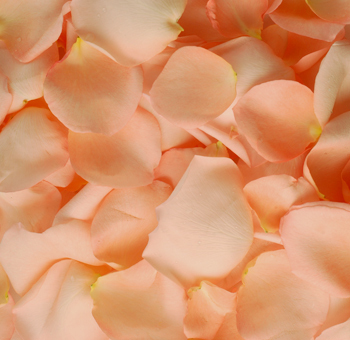 Like you could float the petals in glass bowls. This makes an exquisite and simple centerpiece. 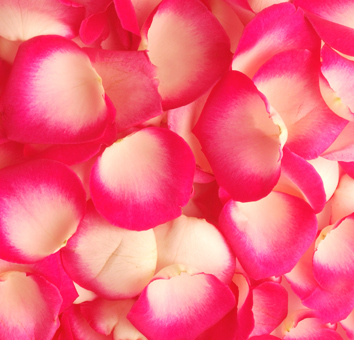 You don't even need too many petals to achieve this look. It's easy and something that you can do yourself too. It's a brilliant choice for a centerpiece. 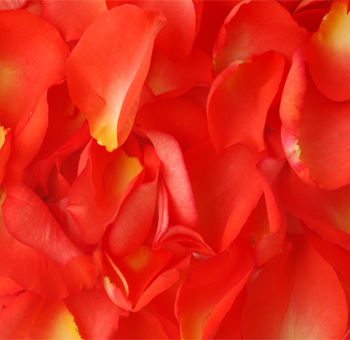 Mix up some colorful petals to spruce up the décor or use petals of flowers that match your color themes! 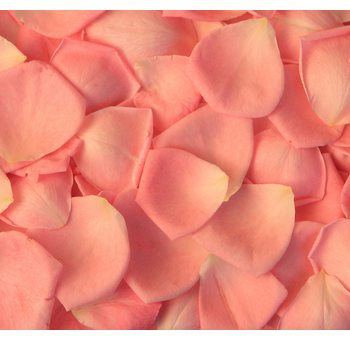 One of the most beautiful ways of displaying flower petals is at the wedding aisle. Outdoor weddings have a lot of benefit from this especially. The landscapes and natures are generally beautiful on their own, but an outdoor wedding is sometimes in need of an extra something. 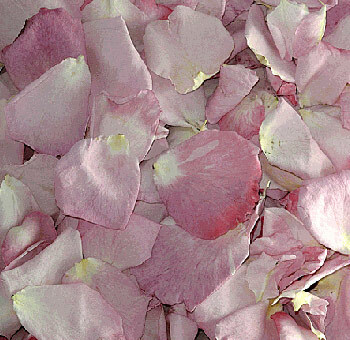 This could be your flower petals, either scattered or designed in shapes, edges or even the initials of the bride and groom. Have your guests sit from the outside to avoid ruining the designs before you walk down the ceremony aisle. Using curvy designs is very elegant, decorative floral designs add sophistication and merely placing them on edges can also look gorgeous. A well-done wedding aisle will bring the whole décor together. Here too you can use the colors of your themes. Another traditional way to use flower petals is on the cake stand. The cake table is always decorated with beautiful flower petals that can add some accents to the otherwise empty space. This colorful punch takes away the fullness and even adds a splash color to the wedding cake. 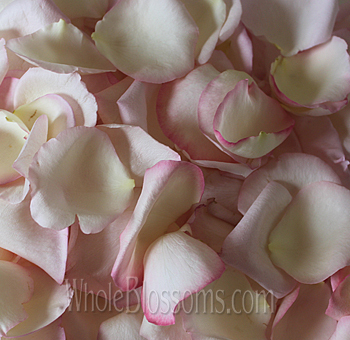 Make your flower girl carry them and not just during the bride's walk. 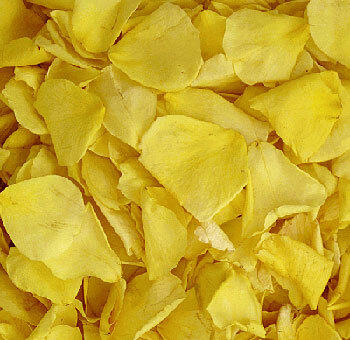 She can have a basket full of petals in her hand all the time so that she can throw petals whenever she feels like. It can create many good photo opportunities, and you'll always have a flower girl training behind you with a bunch of beautiful flower petals. 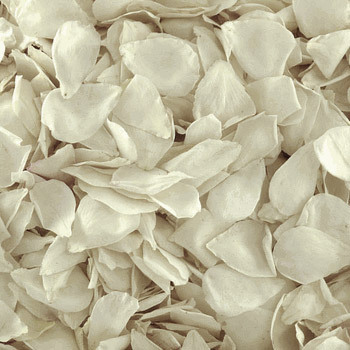 For the last part, we suggest you ditch the rice and have your guests throw delicate flower petals on the bride and groom. It's much more fun trust us. 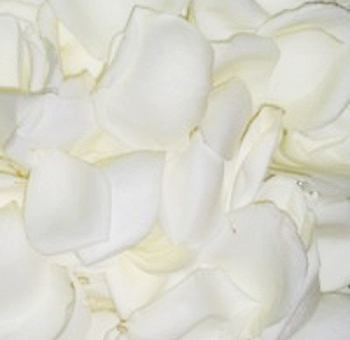 Although roses are traditionally used more commonly than any other flower, you don't have to opt to do the same. 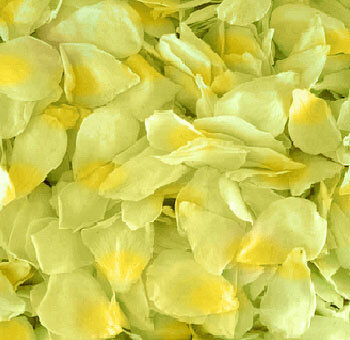 There are many other flowers that make wonderful flower petals for your big day. Flowers like lavenders come in small sizes, and tiny lavender petal and its grains can add a great scent to the confetti mix. They come in colors ranging from dark purple and a mix of delphinium or wildflower petals pairs well with them. It's actually quite common confetti choice for the garden or boho weddings. Delphiniums flowers are light and delicate and probably the same size as your fingernail. They can be used for the perfect conferring moment too. 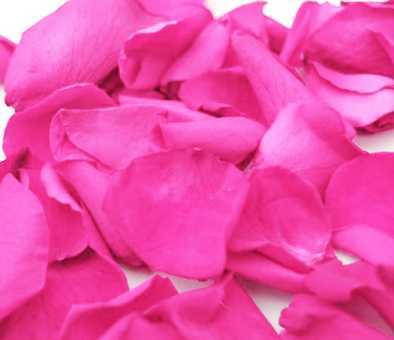 They are available in seven colors including blue and pink flower petals. It's easy to create confetti according to the wedding theme too. Wildflowers and mini rose buds too are tiny petals that are super light and fluffy. 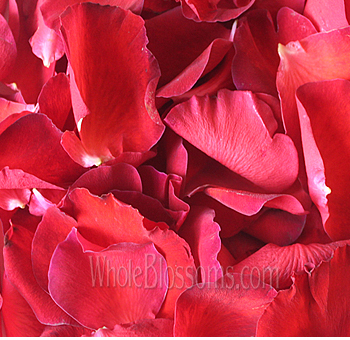 The rose buds are around a centimeter round, and the wildflowers offer a wide range of colors including black. 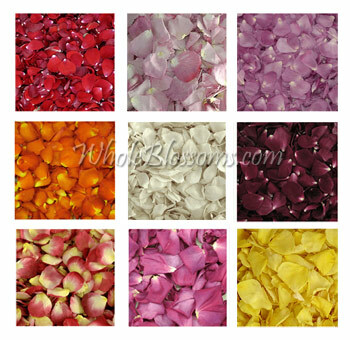 It's best to buy flower petals in wholesale. Because you'll be using them literally everywhere and a bulk quantity is much better when it comes to pricing. 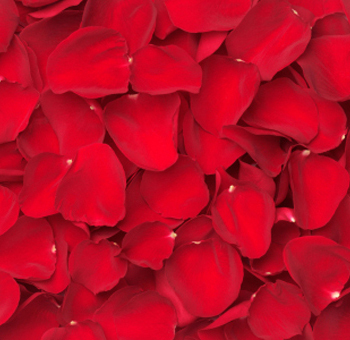 Many wholesalers even give discounts on bulk orders too We suggest that you opt for online vendors instead of running around looking for petals florists. 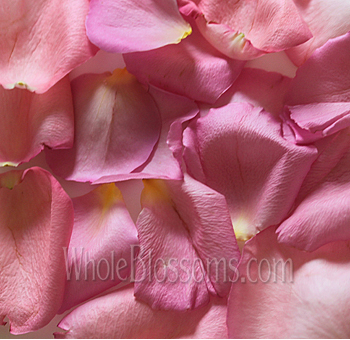 Whole Blossoms is a great wholesale cut flower company that can cater to your flower needs. 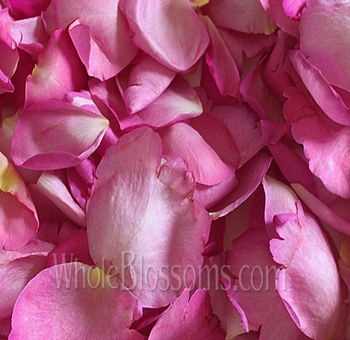 You must make sure that your flower petals are fresh and whole blossoms can guarantee that. They even have a 24/7 hour delivery system which guarantees fresh flowers delivery right at your doorstep! It's a blessing to do it yourself brides and event planners. Special functions planned in urgency have a lot to benefit from this too! 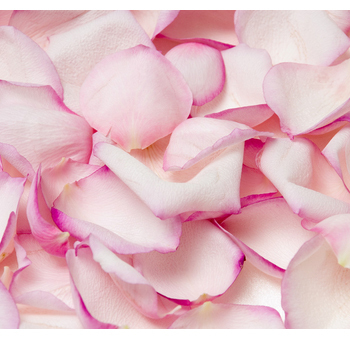 Your fresh flower petals are just a click away. 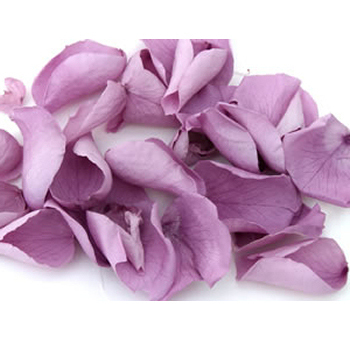 They are the best company to contact when it comes to flower petals for sale online.